On the second Tuesday of every month, JAZZ at Caffè Lena will feature a performance by a talented, A-list musician, along with resident jazz pianist and composer Lamb. In honor of Lena’s love of one of America’s most original and enduring music genres, Caffè Lena has been presenting its own special concert series called “JAZZ at Caffè Lena,” and last night (October 9) marked its one-year anniversary. What makes JAZZ at Caffè Lena so unique? It’s a combination of bringing A-list jazz performers, who normally play in larger concert halls, to Caffè Lena’s intimate performance space. 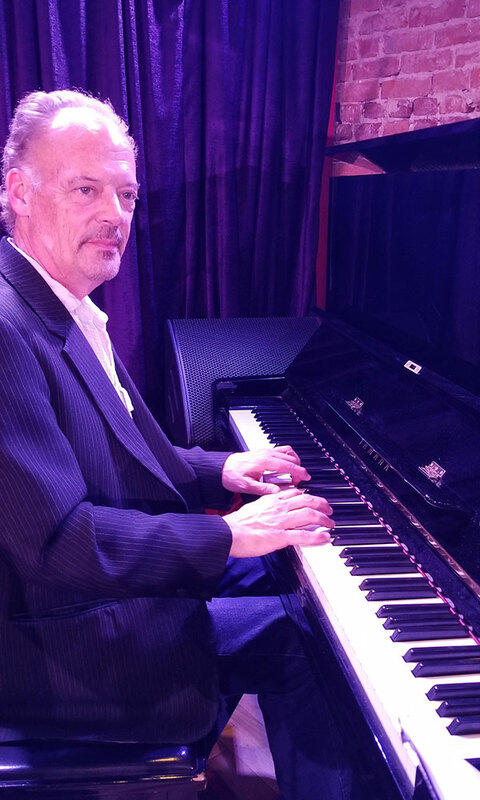 On the second Tuesday of every month, jazz pianist and resident composer, Chuck Lamb, hosts the JAZZ series with Grammy-winning musical producer Joel Moss, who helps book performers and organize the concerts. It all started a little more than a year ago when Moss heard Lamb play a jazz tribute to Bob Dylan at Caffè Lena and thought a regular jazz concert series (one of Lamb’s old dreams) would be a great idea to showcase at the venue. So far, Lamb and Moss have worked with players who tour internationally, as well as some of the most respected jazz musicians from right here in the Capital Region. 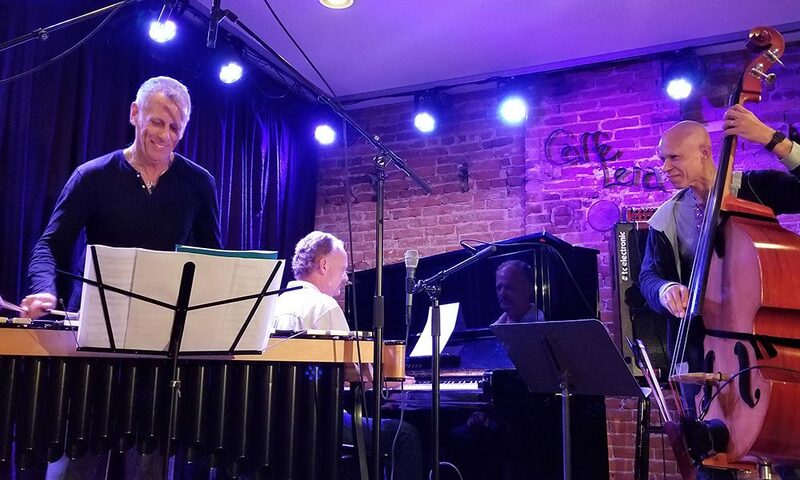 For the one-year anniversary, Lamb teamed up with bassists Ira Coleman and renowned vibraphonist Joe Locke to offer the Spa City a truly unforgettable night of music. Together, the three musicians sounded absolutely seamless as they ran, boogied and slow-stepped through a set that included everything from jazz standards by American saxophonist and composer John Coltrane and Gypsy, jazz guitarist Django Reinhardt to more contemporary tunes including a couple of Lamb’s own compositions. “I knew it was going to be good, but this has exceeded my expectations,” says Lamb of the JAZZ series. 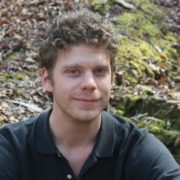 “It’s expanding a lot; we’re in the groove of it. But we even started out getting heavy names like Vic Juris and others.” And Lamb knows a thing or two about successful jazz: Since 2002, he’s been a member of the Brubeck Brothers Quartet (as in Chris and Dan Brubeck, sons of legendary jazz pianist, Dave Brubeck), and his last album, 2016’s North By Northeast, received rave reviews and international airplay. Ironically, Lena Spencer originally intended to run the café for only a few years before selling it for a profit. “The plan was to close it after a couple of years and move to Europe and just be rich forever after as artists,” says Craig, who’s been working at the venue since 1995. “Thirty-nine years later, here was Lena, running her folk club.” Here’s hoping that JAZZ at Caffé Lena has similar success, and that we’ll be enjoying this unique jazz music series for years to come.